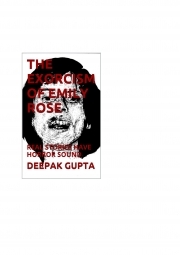 Description of "The Exorcism Of Emily Rose (eBook)"
THE EXORCISM OF EMILY ROSE(Anneliese Michel) IS THE REAL LIFE STORY HAPPENED WITH ANNELIESE MICHEL.THIS BOOK IS CLEARLY EXPLAINING THE STORY WHAT HA HAPPENED WITH HER. I HAVE ADDED THE CONVERSATION OF EMILY WITH THE PRIESTS. -What caused the death of Anneliese Michel, and who was responsible? -When did Anneliese begin to experience strange symptoms? -Who first diagnosed Anneliese as being possessed? -Did Anneliese Michel really see the faces of demons on the people around her like Emily Rose did in the film? -Did Anneliese's mother Anna support the making of the film? -How many people were found guilty in Anneliese Michel's death? -Is it possible that Anneliese was copying what she had seen in William Friedkin's 1973 film The Exorcist? -What other disturbing things did Anneliese do? -Did the exorcisms cause her bodily harm? -Was there a doctor present during the exorcisms as in the film? -Why did Anneliese Michel refuse to eat? -What did Anneliese technically die from? -What were Anneliese Michel's last words? -Had Anneliese been a deeply religious person prior to 'being possessed'? -Is it possible that the priests who performed the exorcisms provided Anneliese with the contents of her psychotic behavior? -In the film, did the director try to provide an answer as to whether or not she was truly possessed? I HAVE ADDED LOT OF REAL PICS OF EXORCISM AND CONDITION OF EMILY DURING POSSESSION AN EXORCISM. EACH AND EVERY PAGE OF BOOK WILL THRILL YOUR MIND.EACH AND EVERY PENNY YOU SPEND TO BUY THIS BOOK HAS WORTH OF IT. FIRST PURCHASE THE BOOK, YOU WILL REALISE THE WORTH OF BOOK. Deepak Gupta was born in Delhi, India. He graduated in commerce from Ramjas college, Delhi university. His passion for writing is truly unquestionable.He has really a different aim in his life. He want to inspire the youth to do some great work in their life. Life is not all about earning money instead its all about earning prestige in the society. Youth is the power of all generation and he wants to inspire them. He has written many non fiction and fiction books like Inspiring life, Lionel Messi, business books, personality skills, life hacks, time hacks, romantic novels, rural books and Hindi writing as well.Each book has some unique guidelines for every reader. He usually writes in very simple language so that even a small child can understand the motive of his book.Books should be in very easy language as it motive is to provide information to each and every person whether the person is high literate or not. In his opinion,life is all about inspiring others and remind the golden words in your mind "Always try to inspire others,there's no cost for it"
Reviews of "The Exorcism Of Emily Rose (eBook)"